I got this wonderful diagram and guide from PiinkCupcakez (make sure to check out her site, it's fab!). 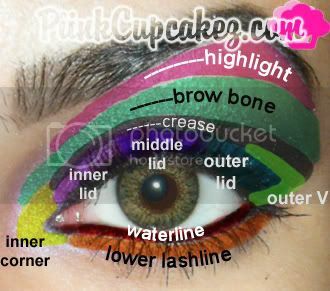 It's a great way for beginners to know the names of the different areas of the eyes and what colors work for each area. Always remember, to achieve a beautiful look, the secret is to blend. Can't emphasize that more.